A view of King Cove. A federal judge has rejected a deal to build a controversial road that would connect King Cove to Cold Bay. U.S. District Court Judge Sharon Gleason has thrown out the Interior Department's land exchange agreement for the Izembek National Wildlife Refuge — the arrangement intended to allow for a road to connect King Cove to Cold Bay. "This is big," said Bridget Psarianos, one of the attorneys at Trustees for Alaska, the law firm representing nine environmental groups that oppose the road. "She basically, for all intents and purposes, wiped [the land exchange] off the books." The environmental groups say a road would damage vital habitat for migrating birds and other animals. But the community of King Cove has — for decades — sought a road to reach Cold Bay, which has an all-weather airport. King Cove community leader Della Trumble said the judge's ruling is another in a long series of disappointments. "We've been in this battle for 40 years," said Trumble. "We're going to continue to fight." Trumble called the road a matter of life or death for her and her neighbors. Cold Bay is only 18 air miles away, but an overland route would have to go through the refuge. So when a medical emergency strikes, instead of driving to Cold Bay's big runway, King Cove residents wait for a medivac flight at their airport, where only small planes can land. Bad weather is common. Sometimes the only option is a U.S. Coast Guard helicopter. The Obama administration refused a land exchange offer, concluding a road would degrade "irreplaceable ecological resources." But President Donald Trump's first Interior secretary, Ryan Zinke, announced he would approve a land exchange for the road. "Our priority was making sure a local voice was heard," said then-Secretary Zinke last year. Gleason wrote that Zinke "ignored" the findings the Obama administration made about the environmental impacts a road would have on the refuge "without providing any reasoned explanation for this change." She also called Zinke's change of policy "arbitrary and capricious" and a violation of the Administrative Procedures Act. Gleason's ruling seems to leave open the possibility that the land exchange could move forward if the Interior secretary explains his reasons. Interior Assistant Secretary Joe Balash said the department is studying the decision and considering its next move. "This obviously is a disappointing outcome," he said. "Making good on this particular effort remains a priority for the department." The road is also a big priority for Alaska's congressional delegation, particularly U.S. Sen. Lisa Murkowski. This story has been shared from Alaska Public Media with permission. The city of King Cove says it has reached a deal with the Trump administration to build a road through the Izembek National Wildlife Refuge. King Cove residents argue they need the road to access the all-weather airport in Cold Bay. But environmental groups believe it will ruin critical wildlife habitat. Now, city administrator Gary Hennigh says they have reached an agreement with the Interior Department for a land swap — between the King Cove Corporation and the federal government. He expects the deal to be signed January 22nd in Washington D.C. The city of King Cove is working closely with the Trump administration to find a way to build a road to Cold Bay through the Izembek National Wildlife Refuge. 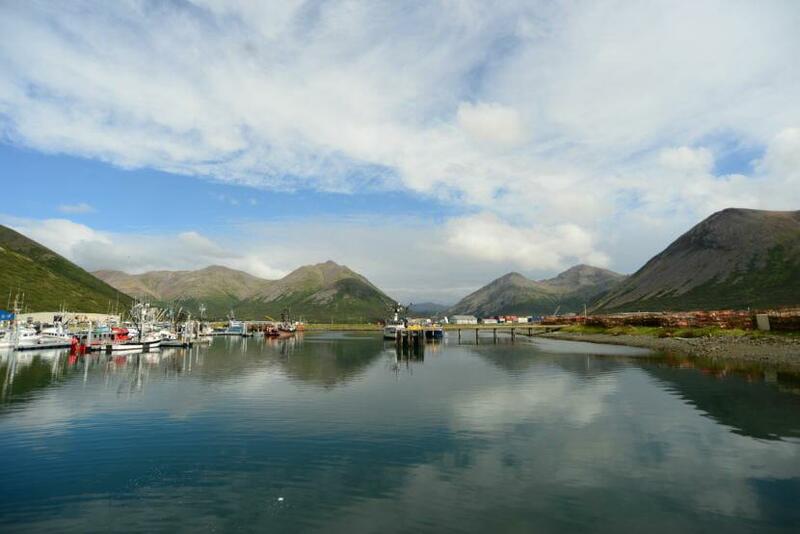 The Aleutians East Borough plans to join the legal battle over a land exchange that would allow construction of a controversial road between King Cove and Cold Bay. In January, Interior Secretary Ryan Zinke signed a land exchange agreement with the King Cove Corporation that would allow for a road through the Izembek National Wildlife Refuge.